I had a comment last week about juicing and blood sugar spikes for those with pre-diabetes and diabetes; rightly so, especially if you have already been diagnosed with the disorder. This recipe for my healing detox smoothie is not only okay for those concerned with blood sugar spikes, but it can actually help to cure the carb cravings associated with pre-diabetes, a metabolic disorder, or obesity. In moderation it should be considered medicinal and used as a part of clean, healthy, unprocessed food way of life. Processed food increases cravings! Ditch the processed food if you want and expect to save your life. This is a healing smoothie with some great anti-aging properties! As Duane Law, LA.c points out “We’re designed to crave carbs; the brain in particular won’t burn anything else for fuel.” www.naturalstresscare.org. The problem we have is that over the centuries we have moved from healthy complex carbs to sugar laden processed fruity juices and soda as a way to get our carbs. Simple carbs are a drug to your brain and creates a vicious cycle of highs and lows that has been proved to be tougher to kick than heroin. There are two ways to kick this cycle. The first is to go cold turkey, not easy but with discipline it is doable. It will be no different than going to AA, “Hello, my name is Gabby Glucose and I am a sugar addict.” It will be that tough, but with a plan and diligence you can do it. I did it, so can you! The second way is with L-Glutamine. I found L-Glutamine many years ago through my fitness training. L-Glutamine is an amino acid that is found naturally occurring in the body and is a building block for many of your bodies functions. L-glutamine enjoyed some notoriety in the 1940s and 1950s as a cure for alcoholism; it also works quite well for almost all processed-carb addicts. Glutamine today is used to counter act some of the affects of chemotherapy, as well as heal the guts of those with Ulcerative Colitis. The VA is using it for our vets as their is a high incidence of vets coming back from Iraq with IBS and Colitis. (Another area I am studying) Of any supplement out there, Glutamine is my favorite. Glutamine heals! This recipe below can be made two ways-If you have Diabetes or are concerned with blood sugar spikes I encourage you to substitute the pears for cucumbers. This recipe I do in my slow juicer. 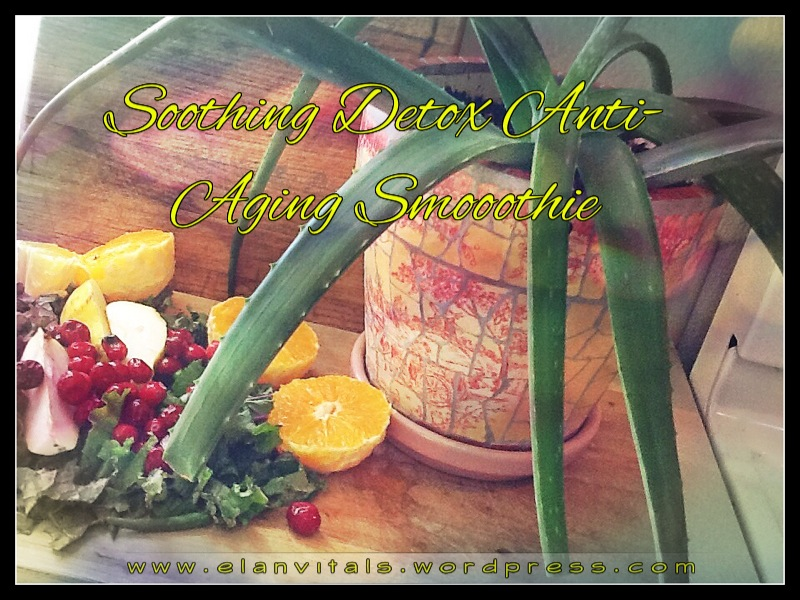 Slow juicing preserves the precious enzymes that contribute to the medicinal properties. Slow juicing also increases the pulp content, A.K.A fiber! This is 3 servings! With the pear each serving is about 23 carbs, with the cucumber it is 15. This is far different than the processed store versions that can contain upwards of 49 carbs per bottle. This smoothie should be taken every morning for one week. Adding one lemon will also increase the clarifying detox properties. But wait, even before that! Glutamine FIRST! The sugar crave advice! Twenty minutes prior to drinking each serving of this healing smoothie consume 3000mg of powdered glutamine that has been dissolved in 1/4 c water. Glutamine is slightly sweet and will serve to decrease your carb cravings throughout the day. Once you start this it can take anywhere from 2-8 weeks to realize the effects. Stick with it. We don’t quite understand why the glutamine works. We do know that L-glutamine is converted by the body into an neuronally excitatory amino acid, glutamic acid, and a sedating neurotransmitter, gamma-amino-butyric acid (GABA). Perhaps the combination of the two mimics to a certain extent sugar’s dual exciting and calming effects on the brain. You can do this on an empty stomach up to three times daily and 20 minutes before a meal. If you want to know more about the benefits of Aloe check out ‘The 12 Benefits of Aloe’ at http://www.sacredsourcenutrition.com. Healing our bodies inside and out is a life long task. Embrace your journey and love the ride! I am glad that the carb load is less than the bottled juices that my husband buys. I appreciate the benefit of raw foods for the phytonutrients. I am doing the Dr. Joel Fuhrman’s Immunity Solution program to reduce the risk of cancer (which runs heavily in my family) by up to 80%. I think there is some benefit to chewing and digesting the fiber in the food instead of doing the job with a juicer. You would have less amylase in the mix. I have joined your rss feed and look ahead to seeking extra of your excellent post.